Could Guardrails Lead to a Defective Roadways Accident? On the side of the road, guardrails are in place allegedly to slow down the speed of a crashing car and to minimize injuries. According to some family members who have lost their loved ones, however, changes in the way these guardrails are made has put drivers and passengers at greater risk than ever before. These loved ones say that the defective guardrails are responsible for causing significant and sometimes fatal injuries. Some of the affected families are in California and they argue that the guardrails have essentially turned into spears which cause instant and painful deaths. When a car strikes the guardrail, the cap on one end of the system is meant to absorb the car’s impact, in many ways looking like an accordion being folded up. In one recent San Diego County accident, Federal Highway Administration investigators arrived on the scene of a fatal accident and removed the guardrail in question immediately. A growing number of complaints filed with the government indicate that people suspect these guardrails are causing more severe injuries than should have been sustained when a car goes off the roadway. Some of these families want to fight for justice and to argue that these defective roadways are putting Americans at risk. Since more than half of all deadly car accidents across the country are caused by a vehicle going off the road, regulators are listening. Some of the end terminals used in fatal crashes have been blocked for use in many states, including California. However, that doesn’t mean these guardrails have been removed, only that they can no longer be installed. Despite this, 13 states are in the process of removing these end caps from their guardrail systems because of the concerns over severe accidents. If a person is hurt in an accident, or if you have lost a loved one in a crash, a proper investigation must be conducted as soon as possible. The major purpose behind doing this is to identify who could be held liable. A defective roadway accident is notoriously difficult to pursue if you don’t have an experienced California injury lawyer who can file it on your behalf. 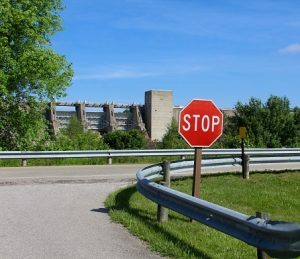 Alleging that a roadway is defective or that guardrails caused severe injuries is a serious matter and one that warrants intervention from a lawyer.